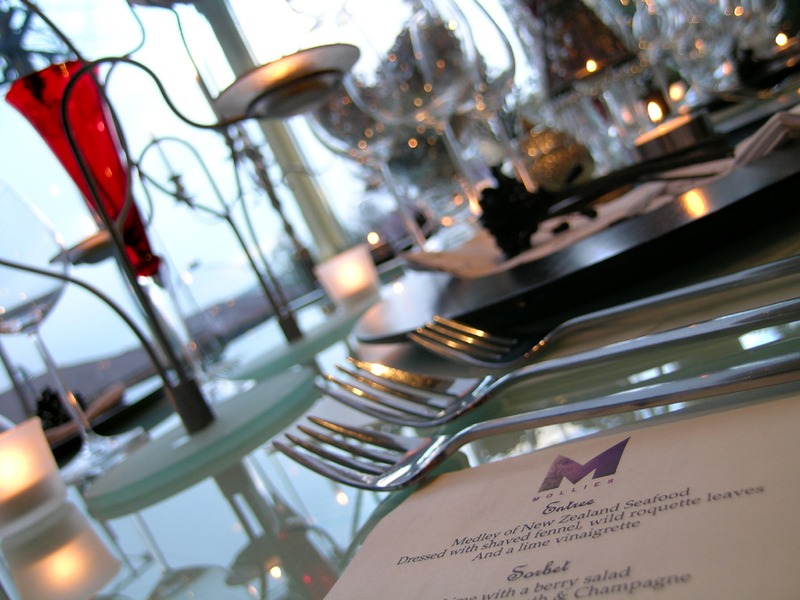 LOOKING FOR A VENUE FOR YOUR XMAS EVENT? HOW ABOUT MOLLIES HOTEL? If you are still looking for a venue to celebrate Xmas...look no further. 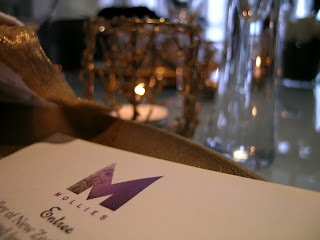 Mollies Hotel is that ideal venue for that long lunch, cocktail party, dinner party or garden banquet. Contact us by phone or email to enquire about our facilities and for us to tailormake a package for you and your guests. How about our 2 course lunch package for your Xmas Luncheon - only $35.00 pp for a 2 course lunch (main & dessert) and a glass of wine. Extended until Mid-December for you to take advantage of. 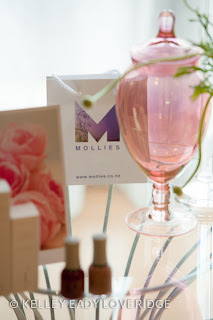 Or a Pamper Afternoon at The Sanctuary Day Spa here at Mollies? Or our Summer in the City Accommodation Package? Congratulations to the All Blacks! Mollies has been busy these last few weeks hosting some international stars who had flown in for the World Cup - we just said good-bye to a family who were with us for just under 2 weeks from Australia. Well....we want to keep celebrating - well the whole year should be a celebration. "UPCOMING EVENTS" page to see some wonderful talent that we will be hosting here. 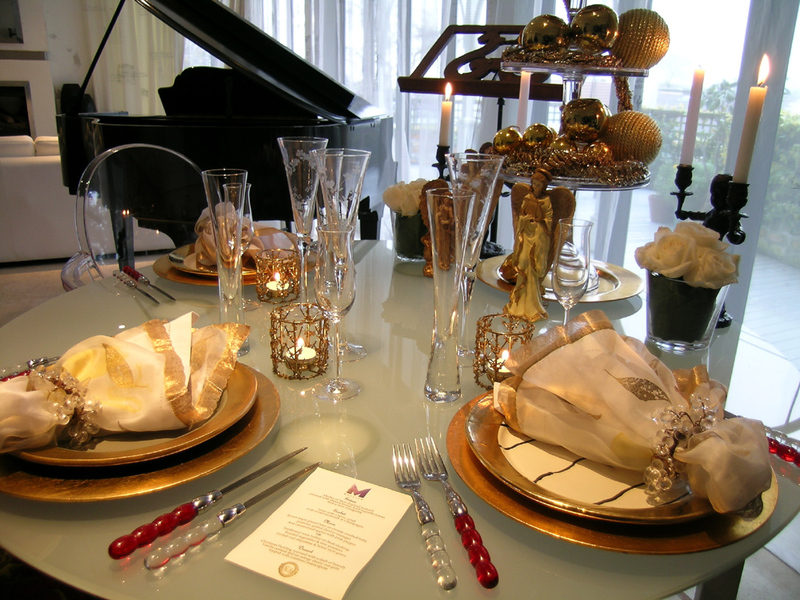 On 3rd November - we have Hannah Willemse a talented pianist who will perform for our guests for 1 hour. 12th November - Mollies together with other notable restaurants like The Depot, Soul, and Clooney to name a few will host dinners at our respective establishments where the proceeds for the evening will be donated to the "Garden to Table Trust". "Well known Auckland food personality Catherine Bell started Garden to Table in 2009, and modelled it around Stephanie Alexander’s Kitchen Garden project in Australia. The programme began with three schools and now supports seven – Owairaka, Peninsula, Dawsons Road, East Tamaki, Meadowbank, and Edendale Primaries in Auckland, and Moanataiari in Thames. Many children, their families and wider communities are benefiting from these programmes, which have proven positive effects, including boosting attendance, increasing children’s willingness to try new foods and engaging non-academic learners. The money raised will be used both to support the existing programmes, and to allow more primary schools from throughout the country join the Garden to Table programme. " 26th November - Jason Bae - pianist. Mollies will be hosting a 3 course dinner and wines and listen to Jason Bae play. $130.00 pp for food & wine package. Will be a great night - and is ideal for those corporates wanting to celebrate xmas a little early - or if you have forgotten to book a venue for xmas. or checkout our "UPCOMING EVENTS" page on our blog. Wholeness, purity and radiance. This is the vision for your restoration at the peaceful day spa at Mollies boutique hotel, sequestered in Auckland’s leafy St Mary’s Bay. It stems from the natural therapies of Sodashi, the exclusive range of nurturing essences and extracts that are now at the heart of the very personal, garden spa experience at Mollies. Launching the new range of therapeutic, pampering treatments at Mollies, general manager Joanna Bourke commented on the rare philosophy that attracted this awarded Relais & Chateaux hotel to choose Sodashi. 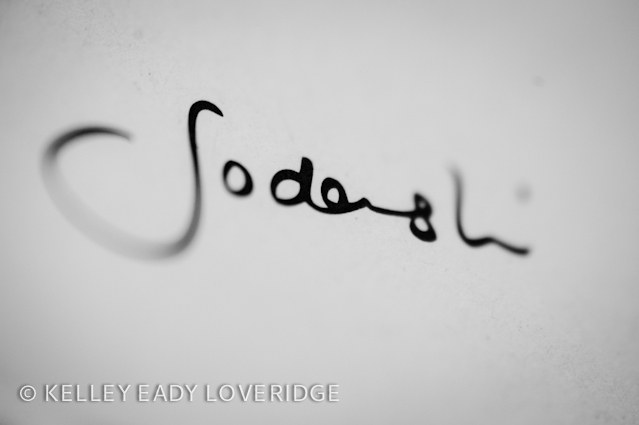 Sodashi products and therapies, unparalleled in performance and purity, are highly regenerating for the skin and impart a deep sense of wellbeing to spirit and mind, says the company founder Megan Larsen. 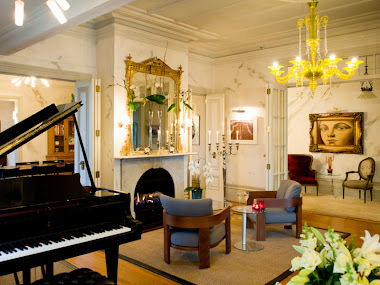 Speaking from a working visit to Ireland, she comments: “For total relaxation and renewal, the Sanctuary Day Spa at Mollies is a true oasis of calm in the city of Auckland. It has been a delight to infuse the essence of Sodashi into this beautiful spa to provide a more holistic approach to beauty and wellbeing. Mollies spa menu includes massages, facials, manicures and pedicures, presented in a spirit of genuine care by qualified, fulltime therapists. With dappled light from its garden setting, the fresh, fragrant spa welcome lounge leads to comfortable, inviting, private treatment rooms. The spa has its own entrance off the secure brick courtyard and carpark terrace. 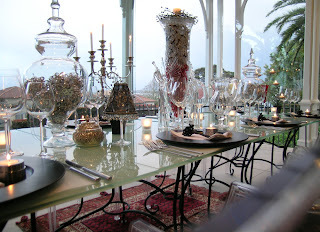 Relaxing at a quiet, private table under the trees of Mollies’ tiered gardens, after or between treatments, perhaps with an assiette of healthful or indulgent delicacies from chef Lance Tripp, you would hardly realise that the city is just a breath away. Fashionable Ponsonby adjoins St Mary’s Bay, offering many of the city’s best shops for fashion and food, with a range of bars and restaurants in strolling distance. 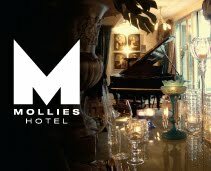 A breeze of innovation has recently brought an inspiring collection of New Zealand art to the stylish walls of Mollies, so a visit to the hotel reception rooms and crystal-themed restaurant is recommended. Spa, restaurant and suite packages are also available.